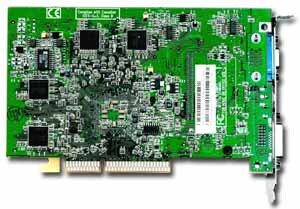 This summer is not only the time of NVIDIA's new solutions that come onboard of DirectX 9.0 compatible video cards (till the spring 2003 the DX9 was represented exceptionally by ATI's products). 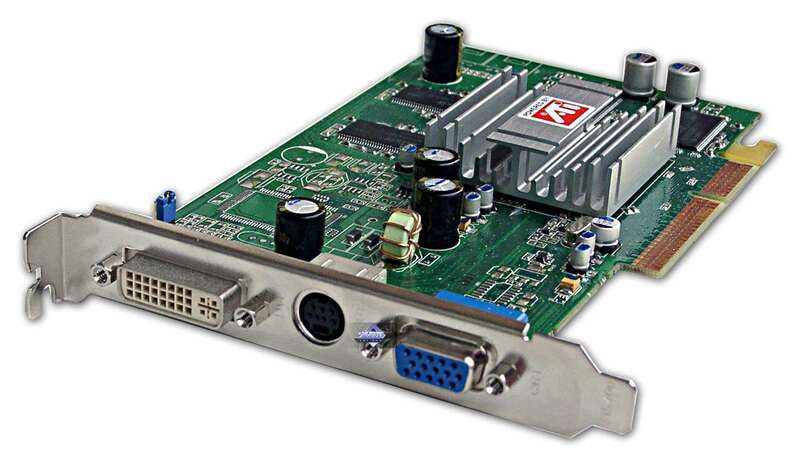 Graphics cards based on ATI products are also expanding their market niche pressing out the previous releases. 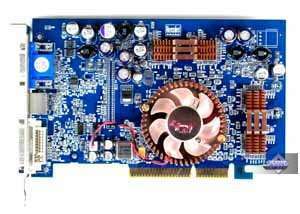 First of all, there are mid-level RADEON 9600 PRO and RADEON 9600. 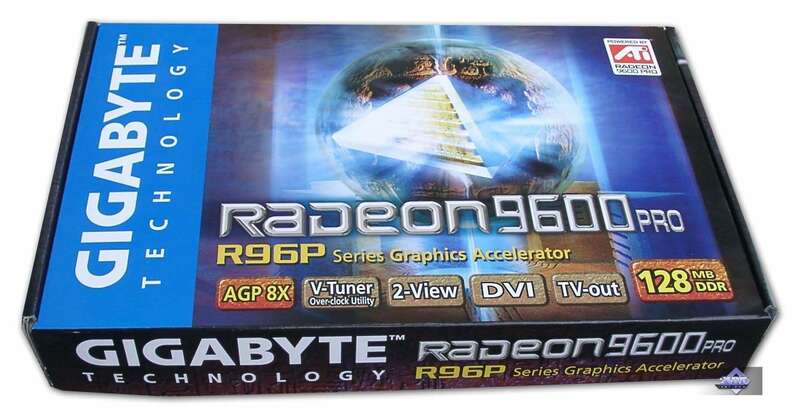 In contrast to the previous line of the RADEON 9700/9500 which utilized the crippled version of the R350, the RADEON 9600 is an independent product. 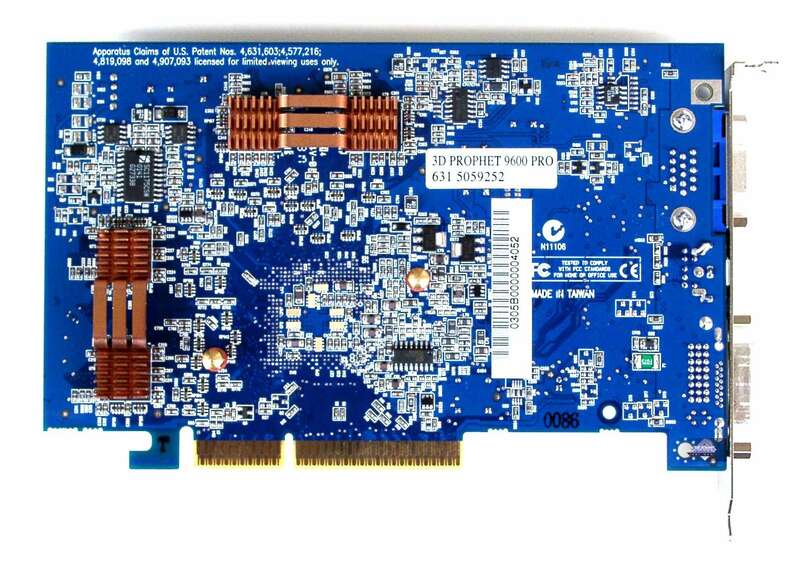 These cards have their own PCB design and use the independently developed RV350 GPU RADEON 9600 (PRO). 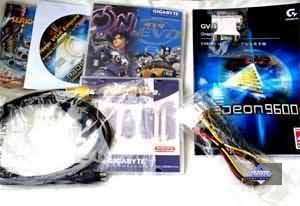 Some of the reviews that also touch upon these issues can be found in the list below. In our recent tests ATI's main competitor NVIDIA GeForce FX 5600/5600 Ultra often looked stronger and more promising. 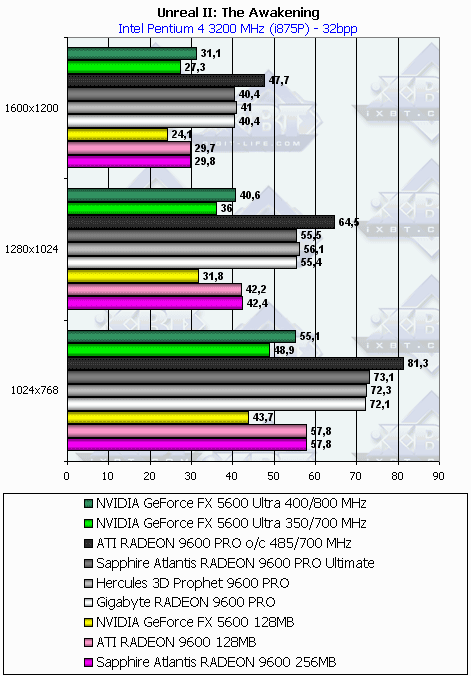 But we have lately changed the demo benchmarks in the tests to eliminate possible cheats of the drivers made for certain timedemos or even scenes. None of the useful optimizations are removed. 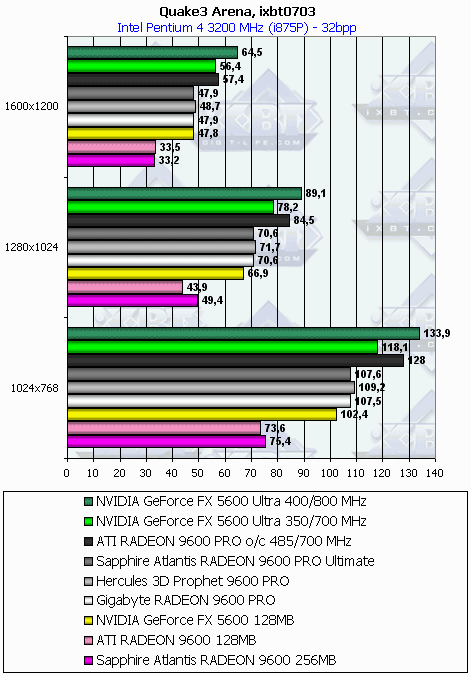 Our previous reviews clearly demonstrate the performance of the NVIDIA products with such cheats. 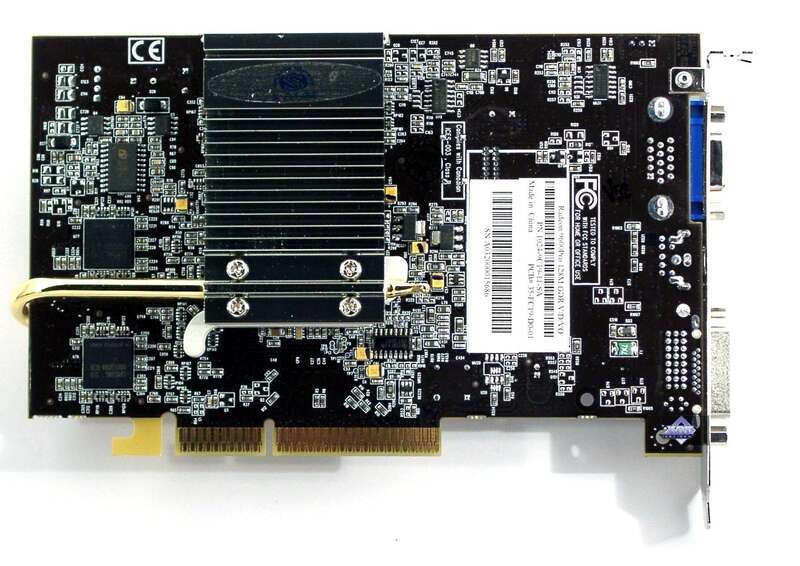 But that time we examined only High-End cards, and today we will take a look at the mid-level solutions in the new tests. 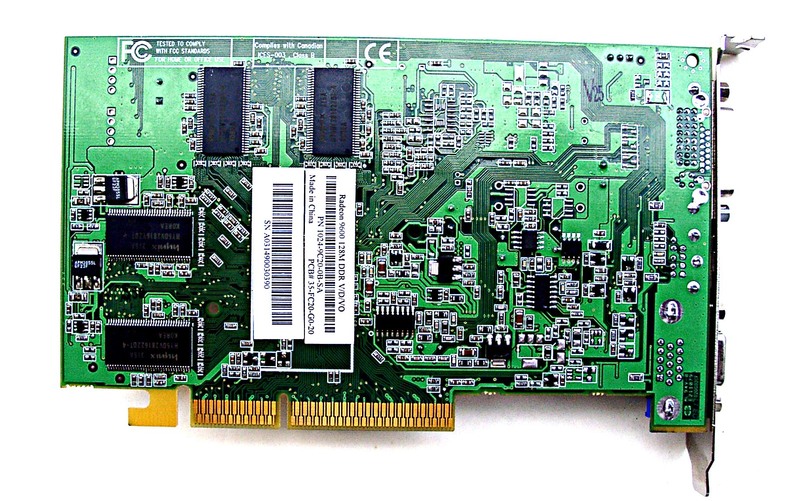 The cards which will be examined today are all very interesting. 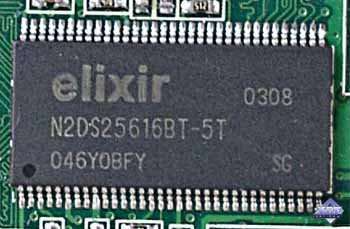 The first one comes from well-known Hercules. 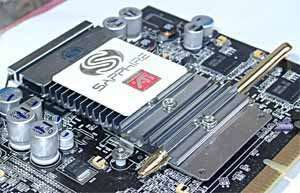 Its latest products have a touch of modding. 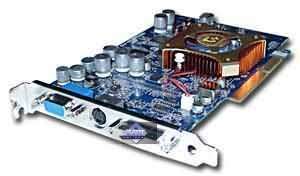 Plus a traditionally high quality and... high prices. 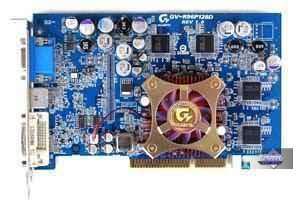 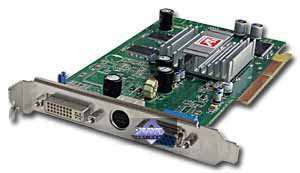 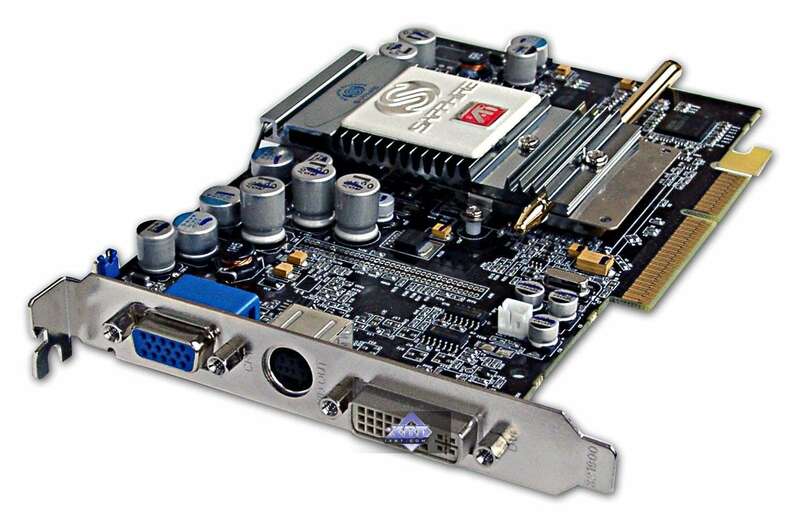 Gigabyte is another popular and established video card maker. 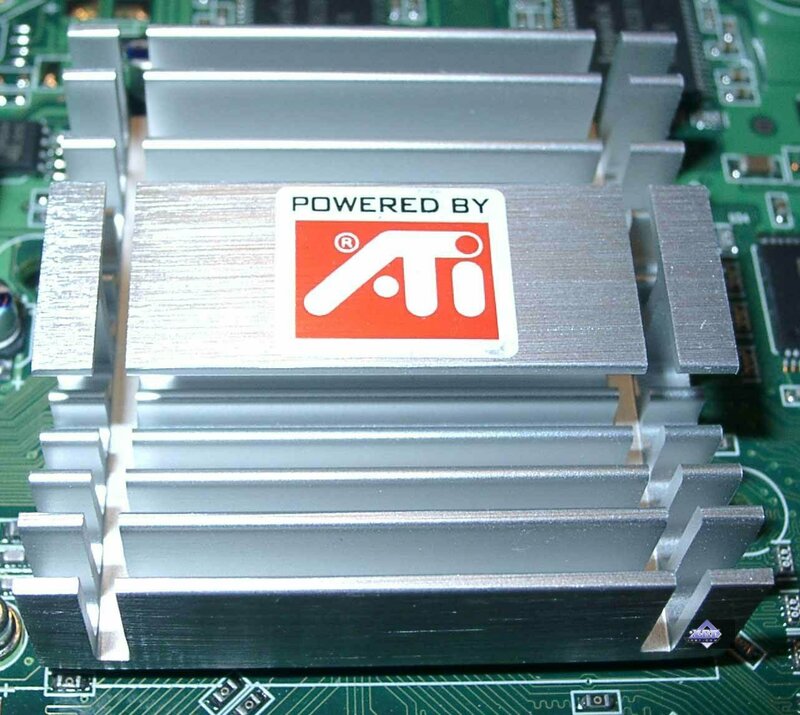 Today the company deals exceptionally with ATI processors. Finally we have ATI's partner number one, Sapphire. 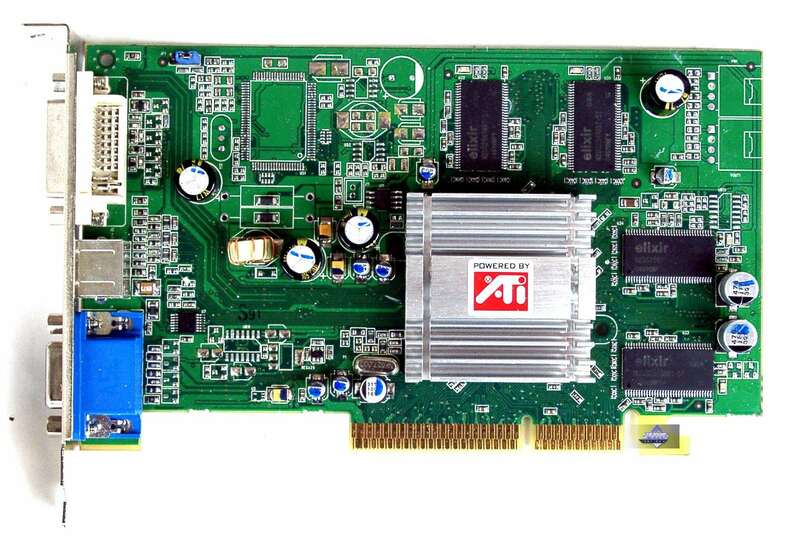 This firm has the widest range of video cards based on ATI's GPUs. 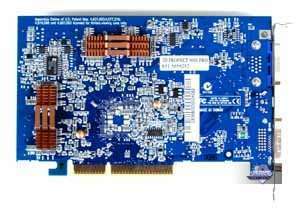 So, we have 4 video cards to test, two being from Sapphire, and all of them have unique features (which can be both positive and negative). 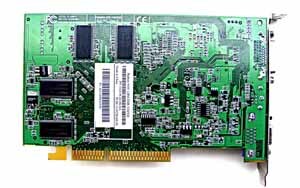 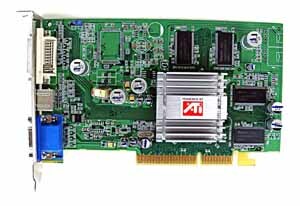 All cards have AGP x8/x4/x2 interface, 128 MB DDR SDRAM memory (except Sapphire Atlantis RADEON 9600 256MB) in 8 chips on both PCB sides. 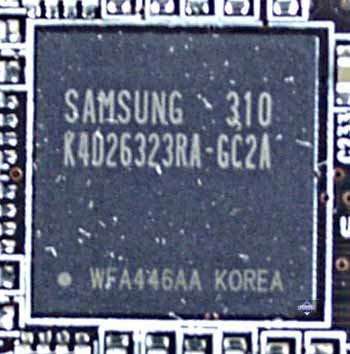 Samsung memory chips of 2.8ns access time which corresponds to 350 (700) MHz. Memory works at 300 (600) MHz, GPU at 400 MHz. 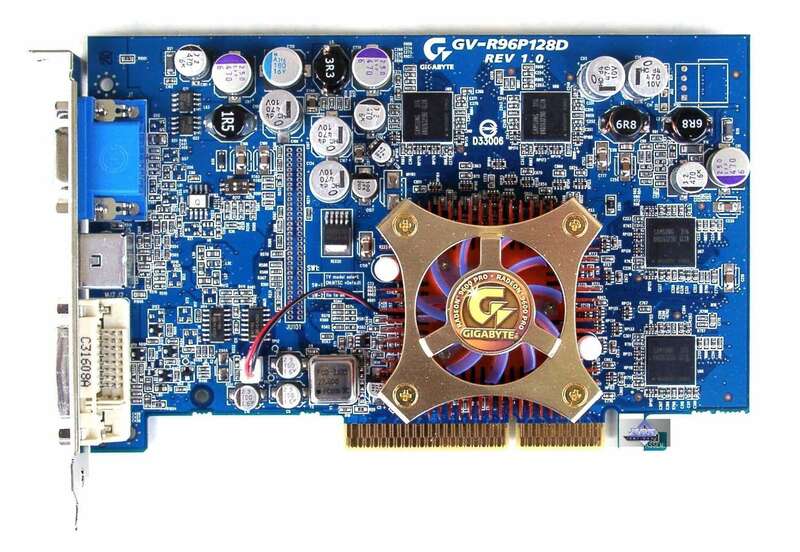 The design of all the cards coincides with the reference one. The only distinguishing feature is blue color of Gigabyte's and Hercules's cards. 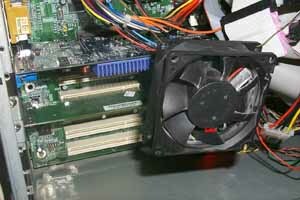 Now let's examine the coolers. 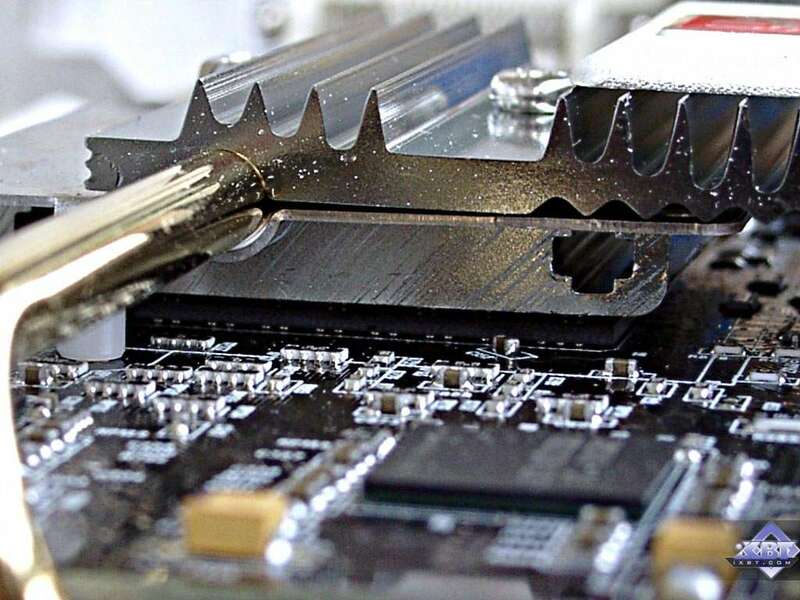 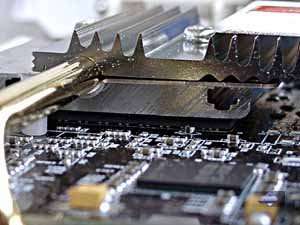 This is a usual heatsink glued to the chip. 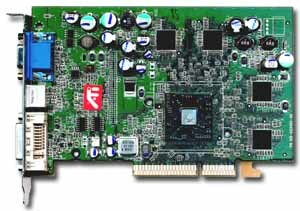 Note that the RADEON 9600 has the FCPGA package, the chip has an open die, and the heatsink is glued to it. It's quite dangerous because users tend to take video cards by coolers (just image how suffers this poor small die). 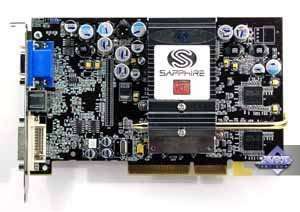 It's obvious that the cooler is what differs this card from the RADEON 9600 PRO in Sapphire's implementation. The cooling system is based on Zalman's one. The principle of operation is simple: the warmer front cooler transfers heat to the rear heatsink through a pipe containing low-boiling liquid, thus increasing the heat dissipation area. 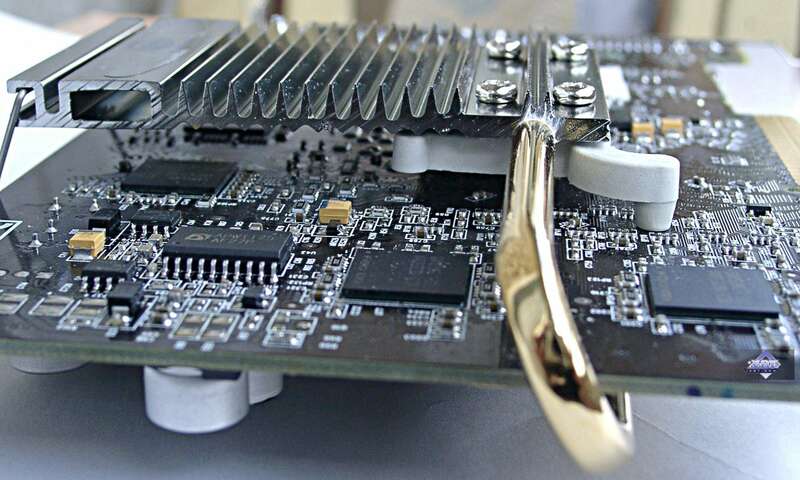 The RADEON 9600 PRO which is based on the 0.13 micron technology needs two relatively small heatsinks, and the temperature inside the closed PC case doesn't exceed 60 degrees. 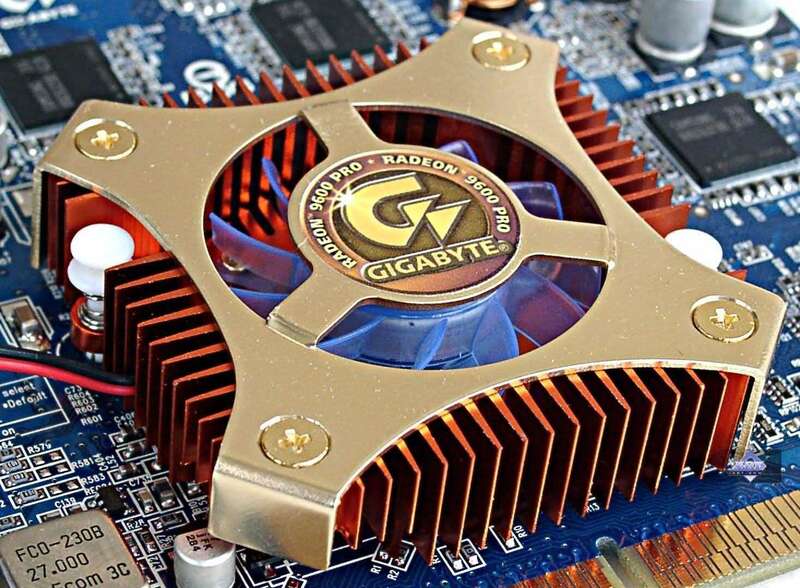 This time the guys at Gigabyte stepped aside from placing orders for coolers with ThermalTake. 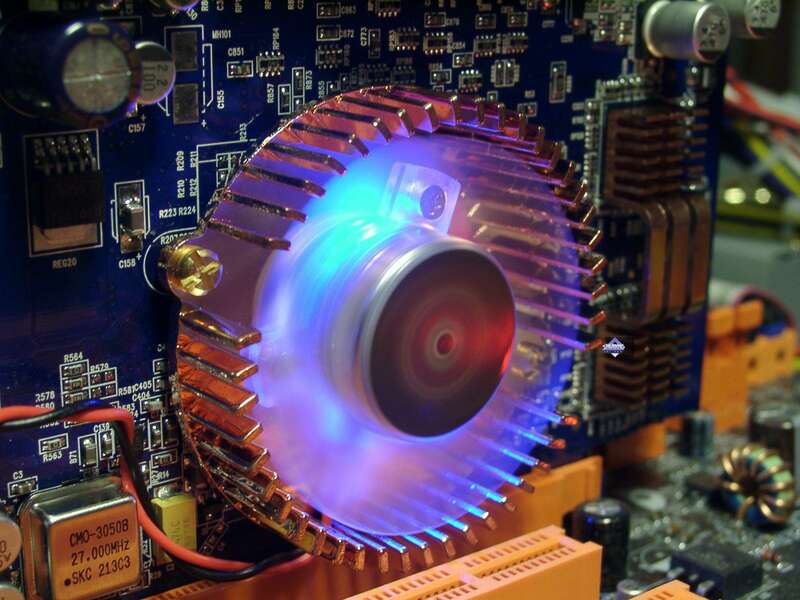 This cooler looks more elegant, but not less effective. 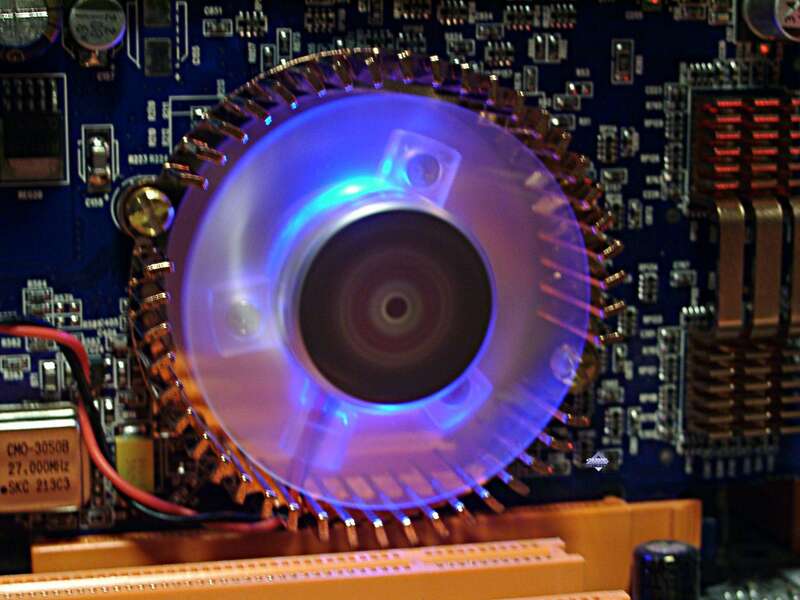 It has a cooper base with heat dissipation fins. 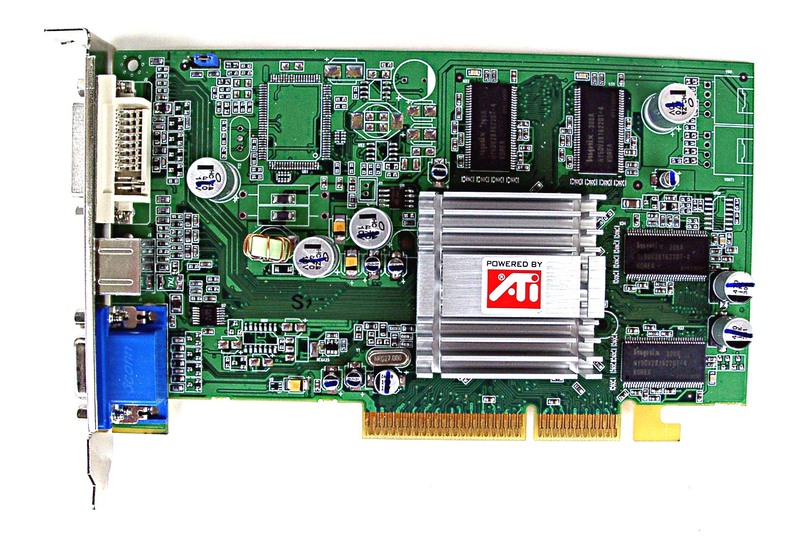 Similar coolers once topped ASUSTeK products. The golden color of the cooler perfectly matches the sky-blue PCB. 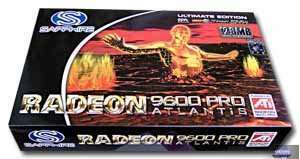 Hercules keeps to its traditions! 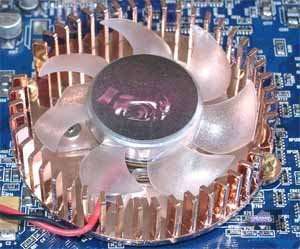 This is a famous round copper cooler. 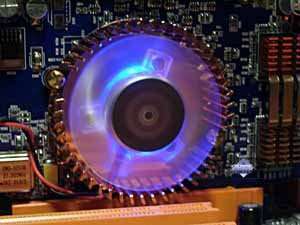 This time it comes with 3 LEDs. 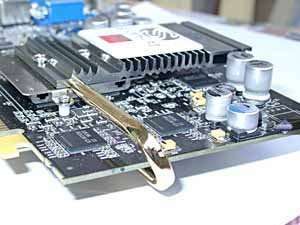 Plus original heatsinks on the memory chips. 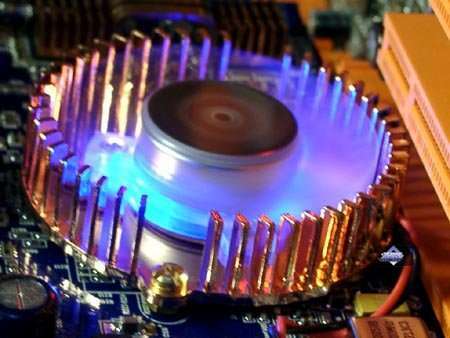 Hercules can make a real jewel from a video card. Besides, the sky-blue PCB also perfectly looks together with the golden cooler. 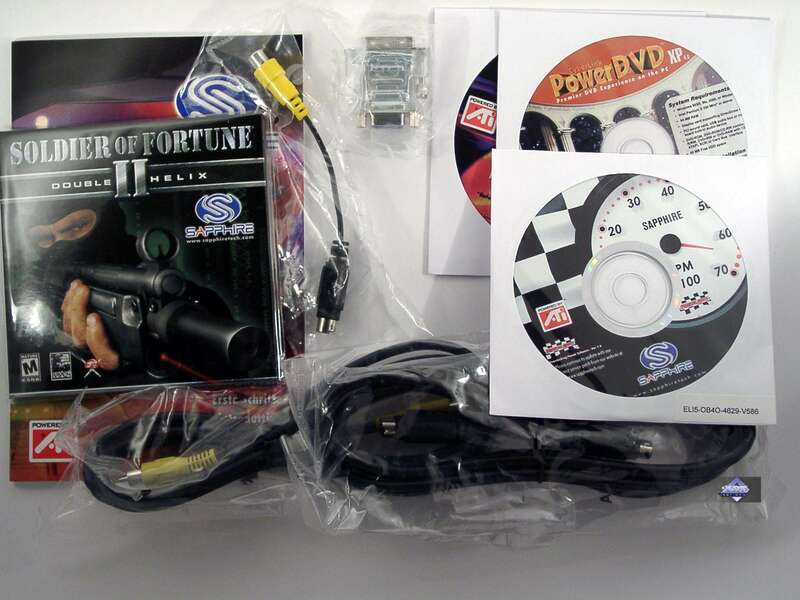 User Guide, 2 CDs with drivers and utilities, PowerDVD, Soldier of Fortune II game, TV extender, DVI-to-d-Sub and S-Video-to-RCA adapters. 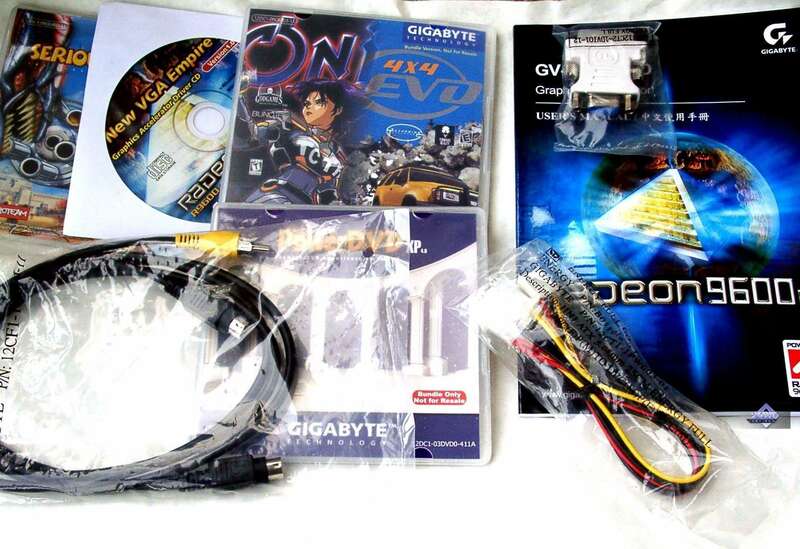 User Guide, CD with drivers and utilities, PowerDVD, 2 old games, TV extender, DVI-to-d-Sub and S-Video-to-RCA adapters. 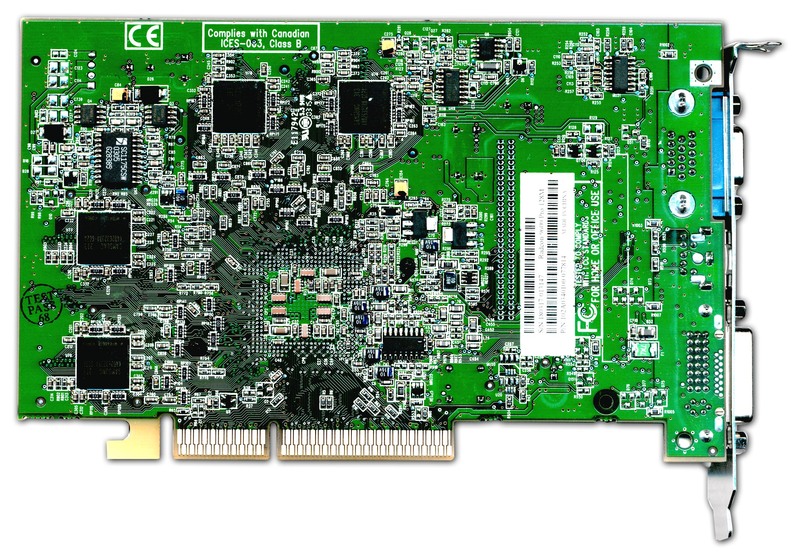 There is also an external power supply splitter though the card doesn't have such connector. User Guide, CD with drivers and utilities, PowerDVD, VietCong game, TV extender, DVI-to-d-Sub and S-Video-to-RCA adapters. 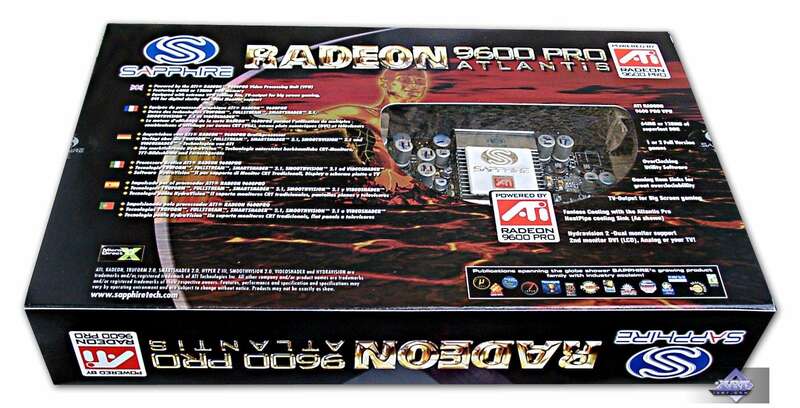 All video cards (except the Sapphire Atlantis RADEON 9600 256MB) ship in retail packages. 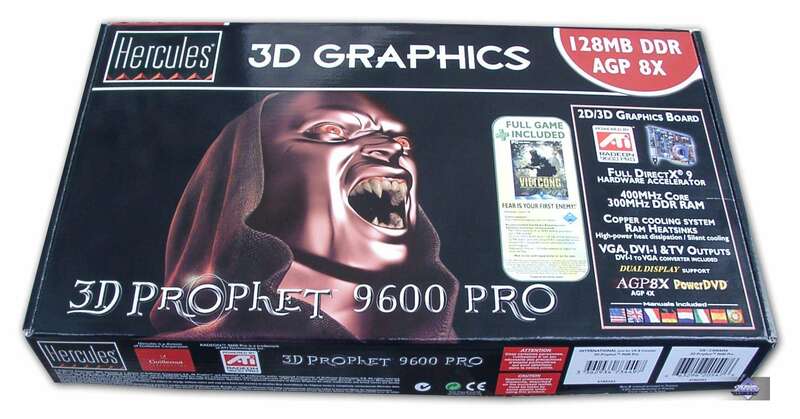 At first sight, this is a traditional box. But the Ultimate Edition looks a bit different: it has a window through which you can see the card itself. 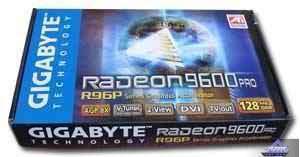 This is a big cardboard box in Gigabyte 's style. 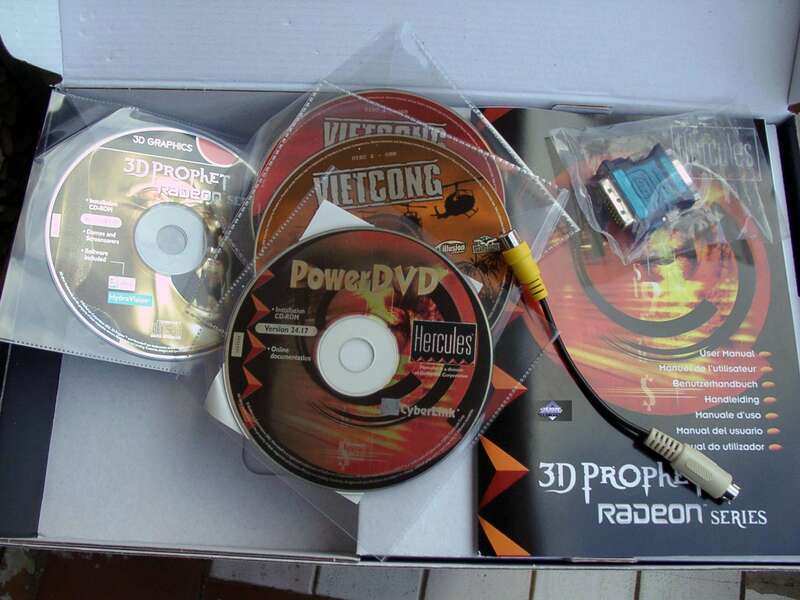 This box is in Hercules style. 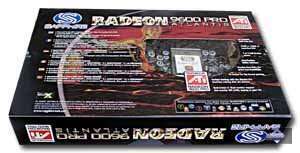 The company has a good tradition to indicate card's clock speeds on the box. 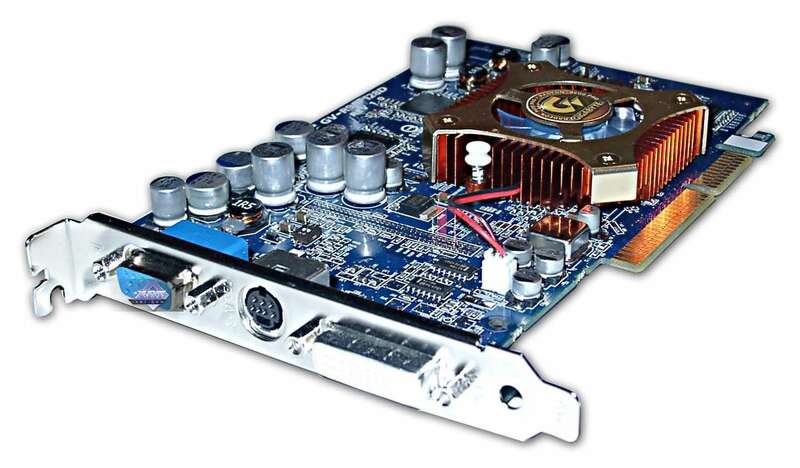 overclocking depends on a sample, and you shouldn't generalize the results of one card to all video cards of this trade mark or series. 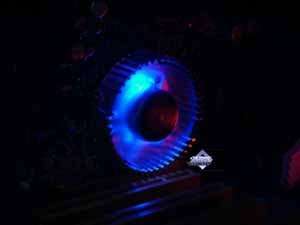 The overclocking results are not the obligatory characteristics of video cards. 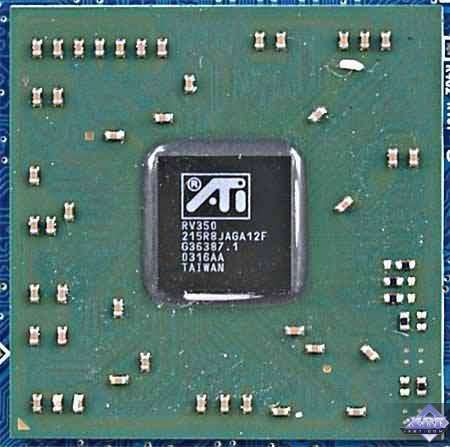 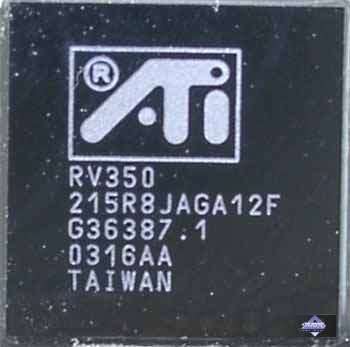 ATI RADEON 9600 (325/200 (400) MHz, 128 MB). 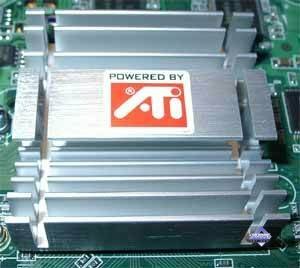 ATI's card loses in this test. 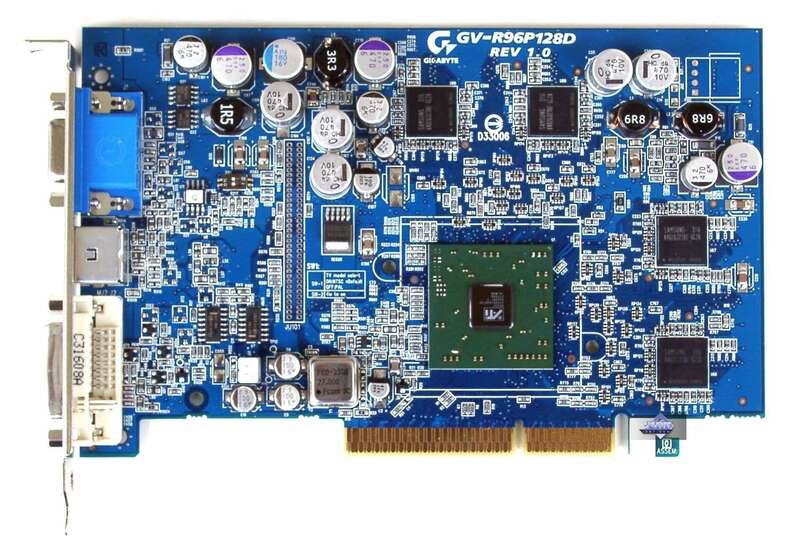 Only the 256MB R9600 card works strangely in 1280x1024. 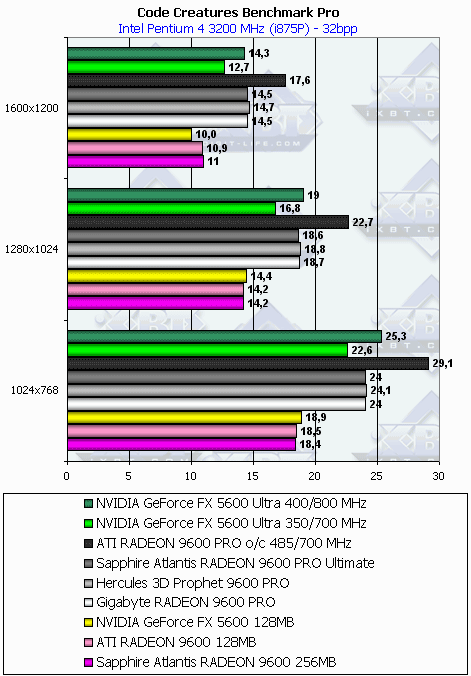 Here the RADEON 9600 PRO outdoes ver its two competitors (except 1600x1200). 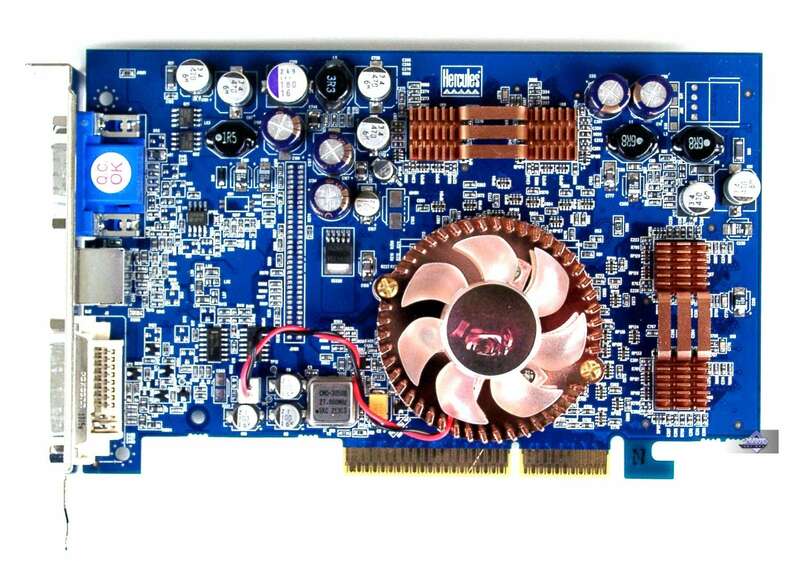 The RADEON 9600 256MB is a bit behind its rival. 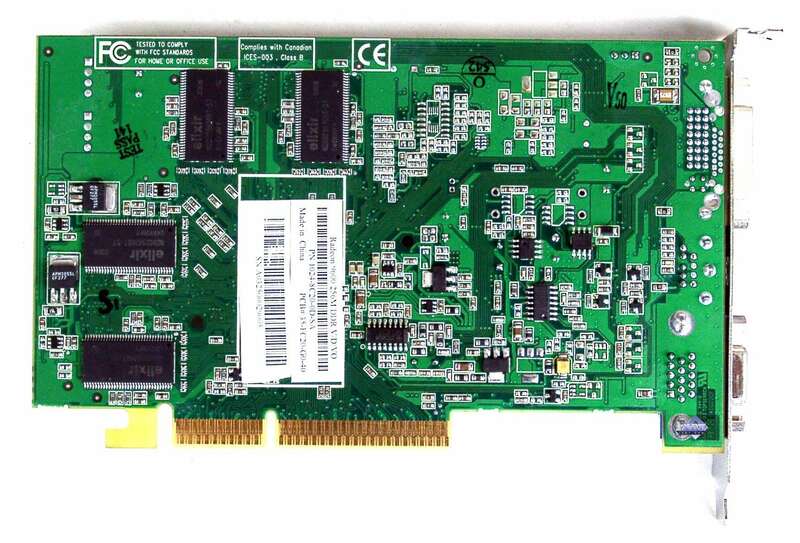 Also note that this card falls behind its 128MB twin. 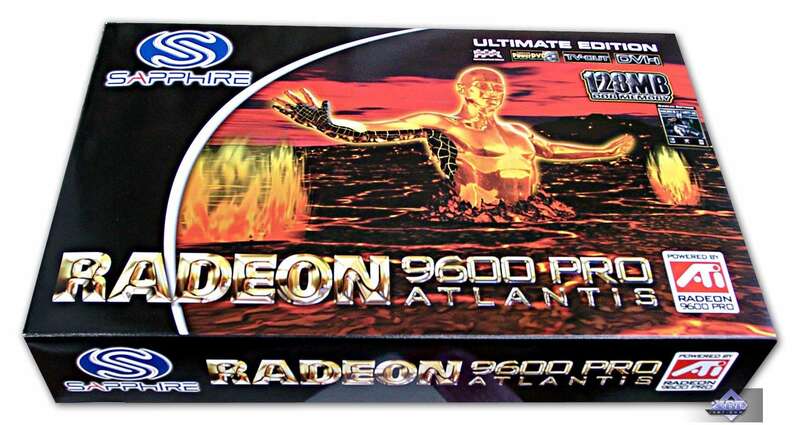 The situation is the same. 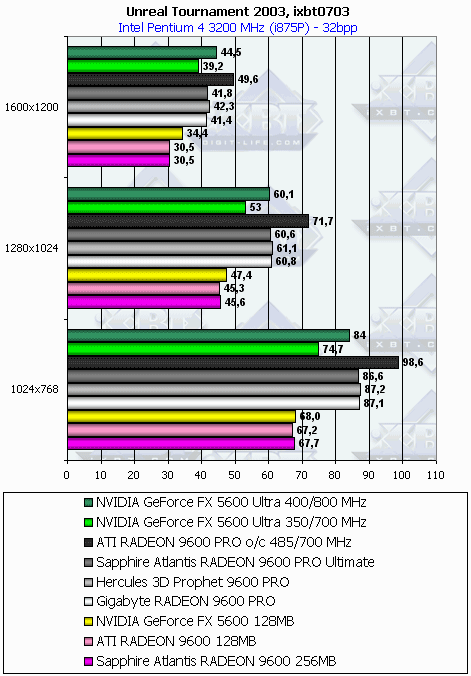 The RADEON 9600 PRO sweeps the floor once more. 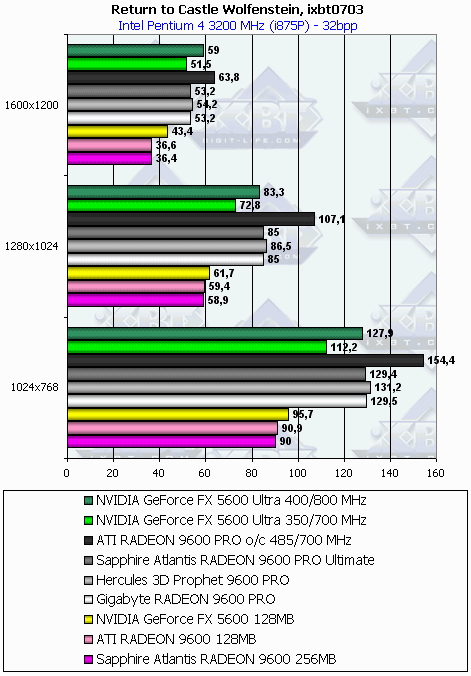 The RADEON 9600/9600 PRO have a great lead! 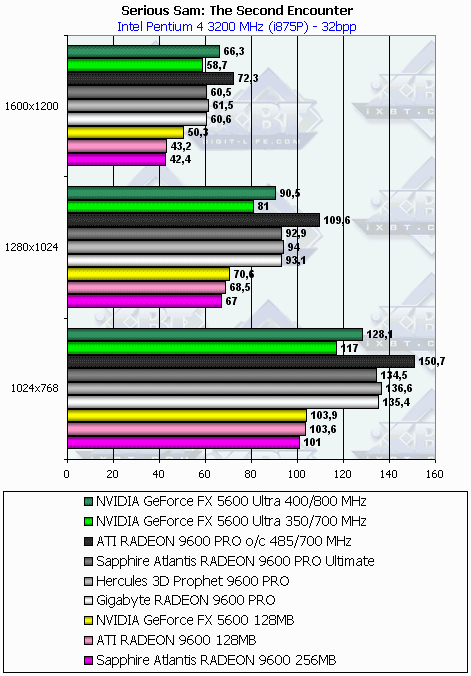 It's well known that the shader speed of the RADEON 9600 is higher than the NVIDIA's one. 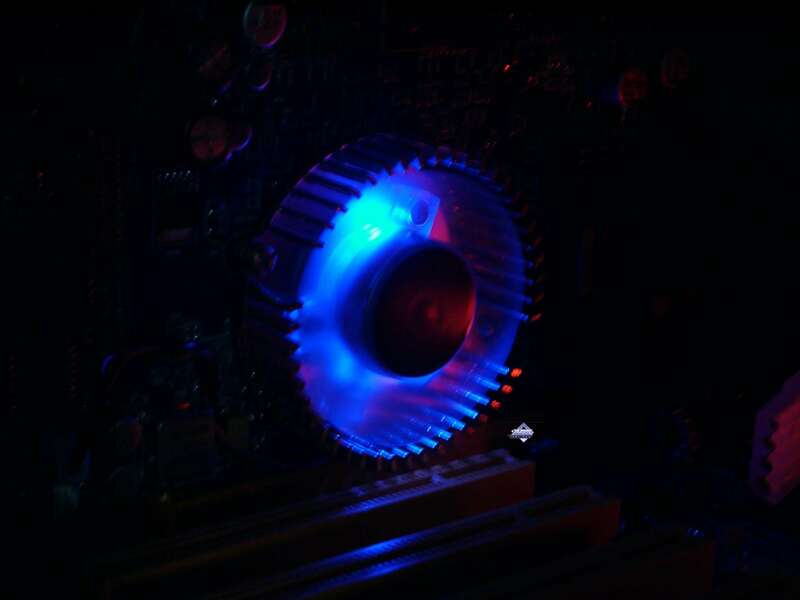 And this test is richest in shaders. 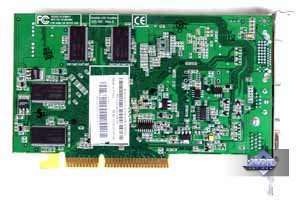 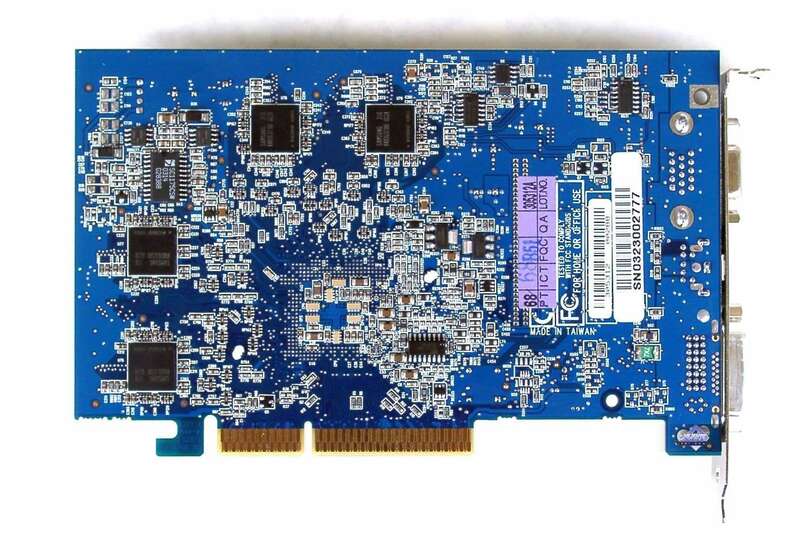 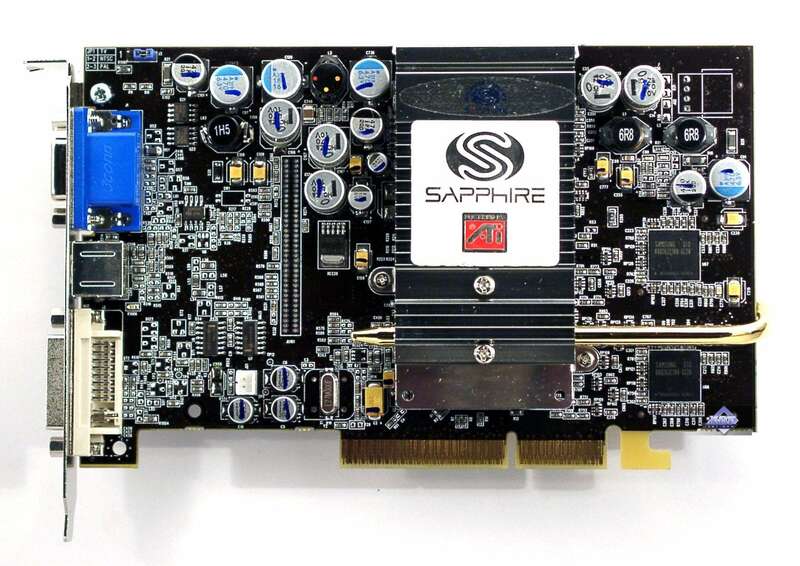 Sapphire Atlantis RADEON 9600 256MB - the release of this card is determined exceptionally by the marketing interests in order to get rid of stocks of old memory and let not very competent users exploit the super 256 MB memory. 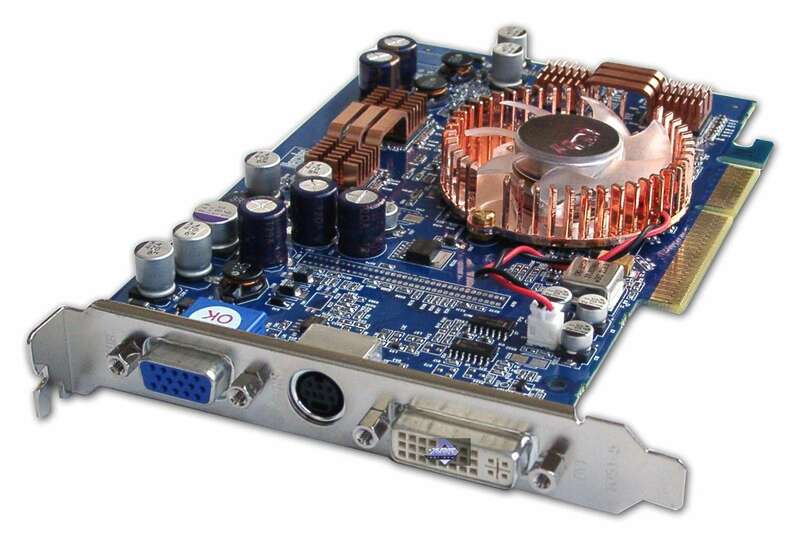 All the cards have an excellent build quality! Especially it concerns the Hercules 3D Prophet 9600 PRO 128MB; Gigabyte RADEON 9600 PRO 128MB and Sapphire Atlantis RADEON 9600 PRO Ultimate Edition 128MB.